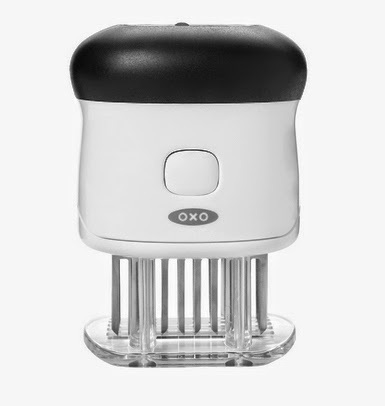 The OXO Good Grips Herb Mincer worth £12.00 as I have one of these myself I can highly recommend this product - pop over and read my review. Preparing fresh herbs is simple with the OXO Good Grips Herb Mincer. 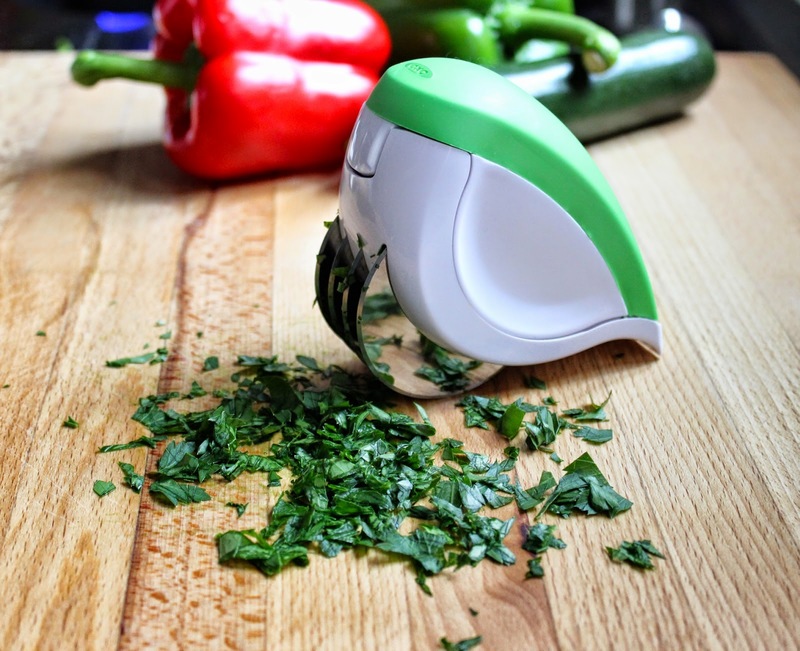 Its stainless steel blades quickly chop fresh leafy herbs like parsley, basil, coriander and more. A soft, non-slip grip keeps hands away from blades while cutting. Use the front end as a scraper to gather herbs into a pile for more efficient mincing. The Mincer opens partially to wipe the blades free of collected herbs and separates completely into 2 pieces for easy cleaning. The Herb Mincer is dishwasher safe. The easy-to-use OXO Good Grips Bladed Meat Tenderiser improves the taste and tenderness of meat, reducing cooking time in the process. When marinating, small holes created by its 50 sharp blades serve as pockets for flavourful juices to fully absorb into meat or poultry in less time – no need for overnight marinating! 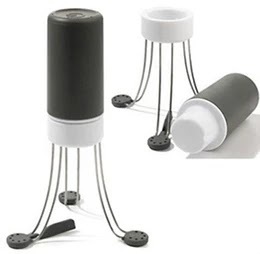 This Bladed Meat Tenderiser helps poultry self-baste, allows meat to retain its natural juices and promotes uniform cooking. The contoured shape with non-slip grip is comfortable to hold while stamping, and the clear base makes it easy to see the indent left in the meat for easy, even tenderisation. The Bladed Meat Tenderiser locks with the blades covered for safe, compact storage. This tool comes apart for easy cleaning and is top-rack dishwasher safe. Entries to this giveaway must be via the Rafflecopter widget. Please note the prize can only be sent to the UK mainland only. I haven't tried them yet! Sadly no, but would love to give them a whirl! Yes I have a mixing bowl and sieve! I don't have any yet, but they look fab! Not yet, but fingers crossed. I don't have any yet. Fingers crossed! These look like great little useful products! I have a Y-shaped peeler and a citrus squeezer - both of them many years old and both the best of their kind I have ever used. I don't have any yet, but they look very good, must try them! I've got a cherry pitter and a balloon whisk which I wouldn't swap for anything! Not yet but they seem like a fab idea! Haven't tried them but fingers crossed I get to! I don't so this would be a great opportunity to give them a try! I don't but this would be a great opportunity to give them a try! I don't have any at the moment, but I'm in the process of moving in the next few months so maybe it would be a nice treat for my new home! I have a few items. The 3 Piece Berry Bowl & Colander Set, the Strawberry Huller & something else I can't remember at the moment. None yet. But they look good. Just browsed the range on the lakeland website..
yes, a peeler, a salad spinner and a can opener. I love Good Grips! I have not been fortunate enough to try any yet :-( would love to try the strawberry huller though. Buy for my elderly mother-in-law. Really good products. Sadly not in my kitchen - yet! I don't but would like to. No, but I think this would be great for chopping my mint! love it! I have a the strawberry huller. I dont have any but they look great! I don't but there's a couple that I really like the look of. Yes a few, I have a whisk and a mixing bowl. They are amazing pructs built to last! I don't, but I want to try them! Not at the moment but hopefully one day. not yet but would love to try! i have never seen them before, but they look brilliant will most definately be looking out for them now. Yes,I have a hand whisk. No, I don't have any yet, but they seem very good. No, but they look great! I have their French press!! No I don't, although they look fantastic so I'd love to have some. No I don't but they look like they would be really good to have. No I haven't but they look like they would be really useful to have. I don't have any yet, but I would like to. I haven't tried these yet but would love to. I have quite a few Oxo Good Grip kitchen products and love them all! Quality products, well designed and very useful. Highly recommend them! I would love to own one, but don't yet! Not yet, hopefully I'm about to win some! Hadn't heard of them until now, they look really handy and I know people who would want one. I have a Apple Divider. OXO top quality. No, not as yet. Thank you! 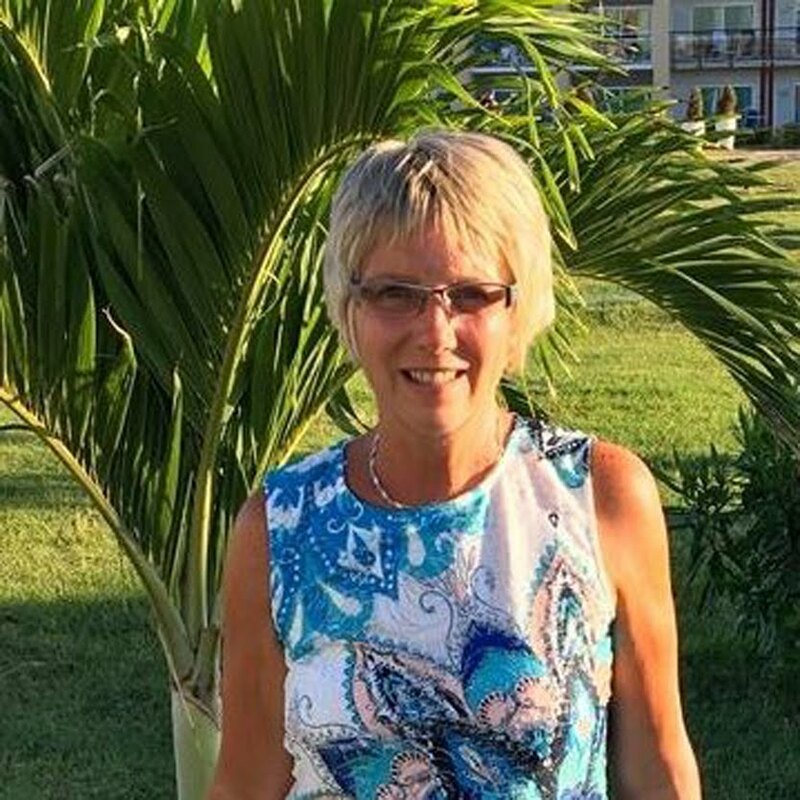 not yet, but fingers crossed I will soon! My oxo peeler and julienne peeler, both excellent quality! I've never heard of them but would like to try. No but I am hoping to have some for my new kitchen as they sound good and look nice. I havnt got or tried them Yet! I don't have any, I think. No but I'd love to give them a go! I don't have any but wish I did. I don't have any but would love to try them. They look fab! I don't, but have only heard good things about them. Not yet, but they look really useful. I have a speed peeler, they're so much better than other utensils. Not got any yet, here's hoping. No not yet but they're on my I want list!! I don't have any but it looks good quality. The vegetable peeler and potator masher. Brilliant for my arthritic hands. Not yet. wish I did. No I dont but would love the chance to try. I haven't but I would love to try ! No i don't but would obviously would love one they look great!!! Unfortunately I am not lucky enough to own any of these fabulous products!